The primary goal of our dog training programs is to enhance your relationship with your pet and increase your understanding of your pet’s behavior and overall well-being. 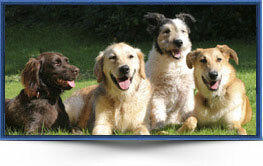 We use positive, reward-based training methods, which emphasize cooperation and understanding between dog and owner. Positive dog training is exciting and fun! We’ll use your dog’s natural motivations to promote learning and to reinforce the behaviors that you want. 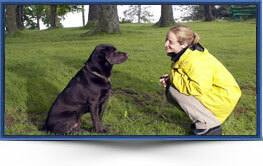 You will be amazed at what you and your dog will learn – and you will be delighted with the results! Classes are held at our facility in Davidsonville, Md and we’re convenient to Annapolis, MD, Baltimore, MD and Washington, DC. 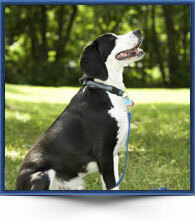 Let our trainers help your dog learn obedience skills and good manners while staying with us for the day or overnight. A great way for your puppy to have fun while being exposed to new environments and experiences and socializing with new friends. 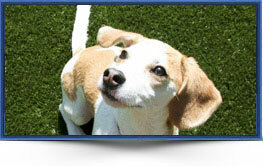 Classes focus on helping your dog learn basic obedience skills while you learn proven training theory.